There’s been so much snow and ice in New York City this winter that when I had to commute in the snow and ice this week, all I wanted to do was cry. And when I stood outside snow for a half hour waiting for a bus that was already 20 minutes late, I just wanted to cry. The travelling in the snow and ice has just exhausted me, and the tears seem to be part of the frustration and overwhelm of the continued onslaught of weather obstacles. New research reported in the February issue of the APA Monitor suggests a variety of new theories about crying, some related to gender, and others related to culture and social contexts. “I think the study of crying, more than is the case for any other emotional expression, may help us to obtain a better insight into human nature”—this is according to Ad Vingerhoets, PhD, a psychology professor at Tilburg University in the Netherlands and a leading researcher on tears. The questions that abound are not just why we cry but also what role does our culture have in when and why we cry as well as what effect our tears have on other people. While the article points out what we might already assume—that women cry more often than men—it seems there is both a possible biological and cultural reason for this. The biological reason is that it appears that testosterone may inhibit crying while prolactin, which women have in higher levels, may promote it. Additionally, a study of people in 35 countries looked at the differences between men and women who cried and found that the differences seemed to vary according to how much freedom of expression existed in that culture. For example, many more women cry than men in countries such as Chile, Sweden, and United States, with their greater freedom of expression, while women cried only slightly more than men in Ghana, Nigeria, and Nepal. From a relational perspective, another study showed that tears help communicate the need for support. One study looking at facial expression showed participants images of faces with tears and then the same faces with those tears digitally removed. The participants, as we might expect, judged the tearful faces sadder. The surprising result was that the participants had greater difficulty in interpreting the emotion expressed by the faces without those tears. Some still saw the faces as sad, though less sad, but others thought the faces expressed concern or contemplation instead. Robert R. Provine, PhD, the study’s lead author and a professor of psychology and neuroscience at the University of Maryland Baltimore County said, “Tears add valence and nuance to the perception of faces.” Thus, the tears help people communicate their true emotional being to another and that clarity gives them a better chance at receiving the help or support they are looking for. However, in her research, Lauren Bylsma, PhD, of the University of Pittsburgh, found that the person who bears witness to one’s tears also, not surprisingly, has great impact. 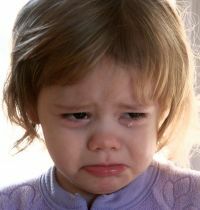 She and her colleagues found that crying was more likely to help a person feel better if that person cried in front of supportive people, such as close friends, or at a positive event, or because of coming to a resolution or new understanding of a situation. Crying made people feel worse if that crying occurred in front of unsupportive people, if they felt ashamed of their tears, or if they saw suffering. In the interest of full disclosure, while I have a tendency to tear up a lot, I rarely find myself racked with sobs. That kind of emotional release is very rare for me. But much of this research really strikes a chord with me personally because when I do get teary, I know I am communicating the pain I am in, even if that pain is simply the frustration of having to climb over mountains of snow and slush for two hours just to get from one place to another, only to have to do it again a few hours later. The fatigue, the cold, wet feet, despite the snow boots, the spray of slush on clothes from passing cars all take their toll. And while many are quick to dismiss other people’s tears—as manipulative, as overreactions—perhaps the problem is not the tears themselves, but in the actual channels of communication. Those tears may be trying to wash away the blockages to real relating.